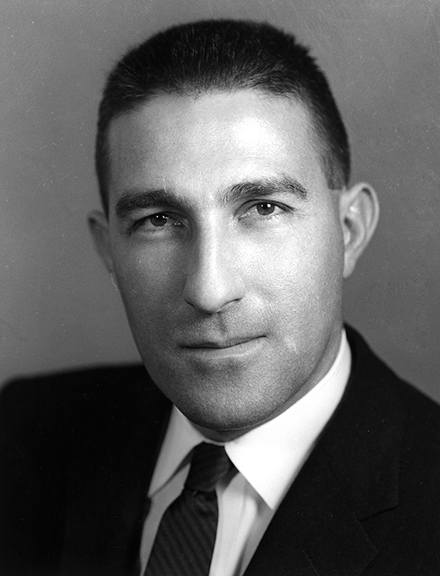 Secretary Stewart Udall in the 1960s. Udall boldly revealed that NASA and the Interior Department would collaborate on Earth-observing space technology to monitor the planet’s natural resources. Initially called Project EROS, short for Earth Resources Observation Satellites, the many fruits of this ambitious vision would become unparalleled in remote sensing. In the fall of 1966, NASA was nearly three years away from launching the Apollo 11 mission and planting man’s first footprint on the moon. Only limited time and effort had been spent exploring ideas for an Earth-observing satellite. Nevertheless, to ensure that sufficient attention would be brought to such a concept, U.S. Geological Survey Director William Pecora convinced Interior Secretary Stewart Udall to issue a press release on September 21 announcing Project EROS, later renamed the Landsat program. Fifty years later to the day, the Department of the Interior and NASA are celebrating this farseeing vision with a special event featuring Secretary Udall’s son, Senator Tom Udall of New Mexico. In the 1950s, Bill Pecora had become aware, along with a few other agricultural scientists and other geologists, that aerial surveys of land surfaces could reveal features that were difficult, time-consuming, and expensive to trace on the ground. By the early 1960s the U.S. was flying both classified land-observation satellites plus the country’s first weather satellites. NASA scientists and engineers had conducted some highly successful aircraft-based remote sensing projects, many of them conducted in cooperation with the USGS and U.S. Department of Agriculture. Both Secretary Udall and Director Pecora understood the vast potential for the useful, versatile knowledge we could gain from land-imaging satellites – knowledge that could be used by the Department of the Interior to accomplish its mission, knowledge that could be used by institutions and scientists outside the government and beyond the United States.